Derek Brown, a former leader of the notorious Vice Lords gang in Chicago whose nickname was "Shotgun," today runs the North Lawndale Boxing League, along with the league's founder, Rev. Robin Hood. He offers a protective alternative to the street life he once knew. In and out of jail for years, Brown told ABC News he broke with his past when he tired of the "hell" he was living in. His son, Derek, Jr, was the first member of the Boxing League, and now is one of dozens of kids who find sanctuary from the violence and influence of local gangs. 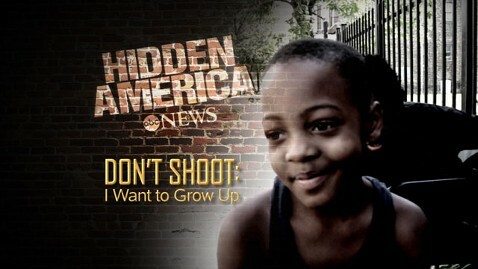 Watch the first part of the ABC News special, "Hidden America: Don't Shoot I Want to Grow Up," TONIGHT on "World News with Diane Sawyer" at 6:30 p.m. and on "Nightline" at 11:35 p.m. ET, then see the full story on "Nightline" FRIDAY at 11:35 p.m. ET.